The Grim Reaper would choose this machete as his secondary weapon of choice. 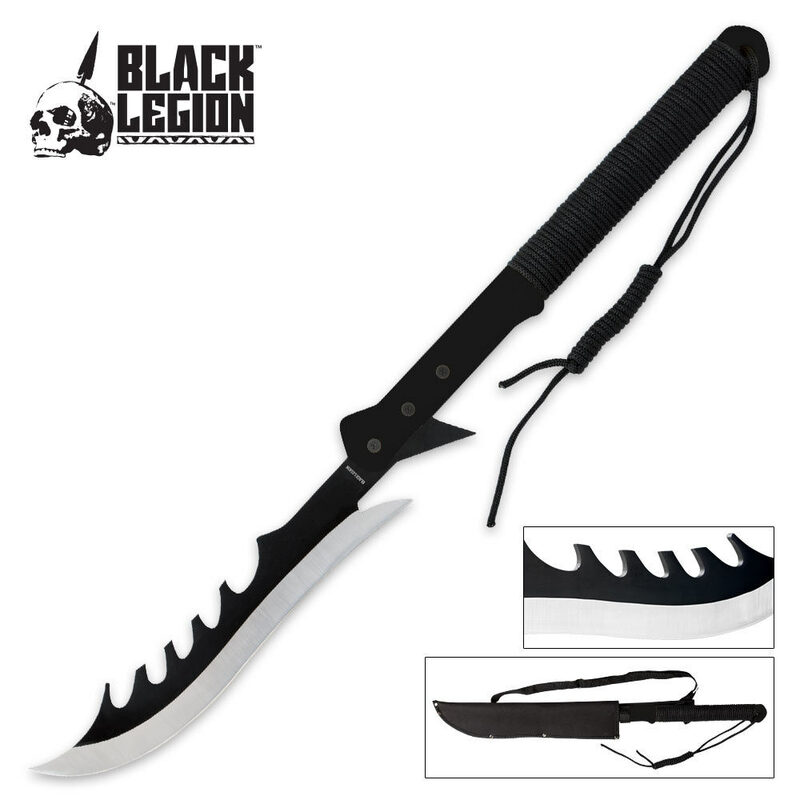 The jagged blade design and bone-colored handle give it the look and feel of a weapon out of Death’s armory. The 11.5 in. stainless steel blade is super sharp and rust resistant and the ABS handle is tough and durable. It is 27.5 in. overall length and comes in a canvas sheath with a nylon shoulder strap. 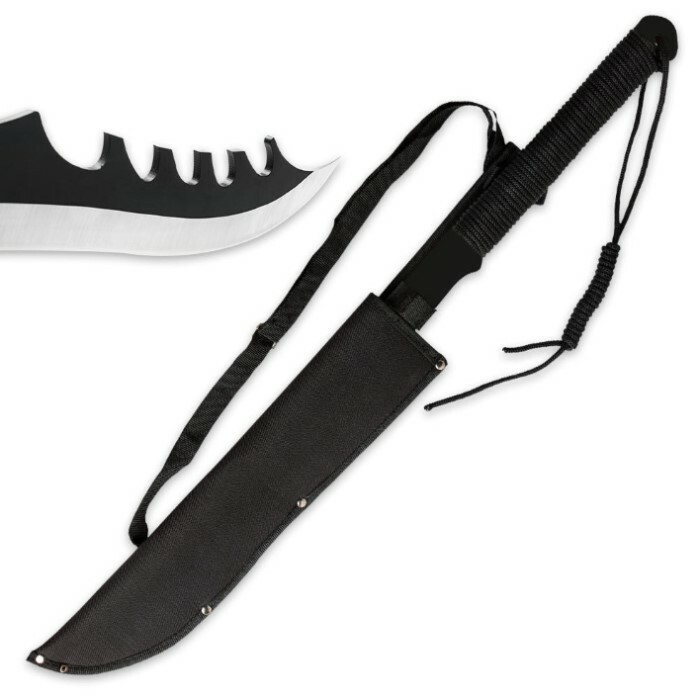 There is a trick to unsheathing the blade, tilt the handle up while tilting the sheath down, that way the hand guard and blade tip don't get stuck in the sheath. 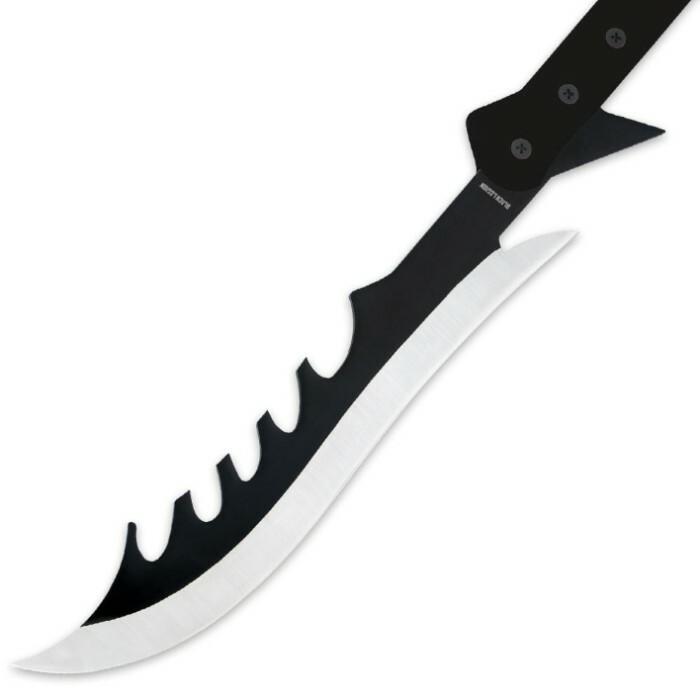 As a weapon very versatile and effective as a weapon of combat, but not much good for anything else. Sharp, well constructed, balanced and easy to use. No complaints here, love it. The jaggit points pointing down get caught in the sheath. I got the first jaggit point out, but forgot about the second one which ended up cutting me. I will say that the blade did come sharp.